Markus Damwerth completed an apprenticeship for carpenting from 1981 to 1984. In 1985 he spent one year in the US. Afterwards and until 1988 he worked in the family business which was established in 1939, Tischlerei Helmut Damerth GmbH & Co KG. His main focus was the production and installation of windows and façades as well as interior construction and furniture. Markus Damwerth has been a certified master carpenter since 1989 and was CEO and partner in Tischlerei Helmut Damwerth GmbH & Co KG until 2013 and employed 28 people during that time. In 2002/2003 he completed the training to be an expert for carpentry and was publicly appointed and sworn to be an expert witness shortly thereafter by the Chamber of Trades Münster. In 2014 he founded the individual business Tischlermeister Markus Damwerth. 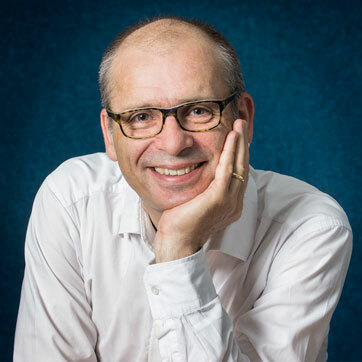 After 25 years of working in business organisation, business management, human resources, technique, consultation and sales Markus Damwerth has much experience and knows the industry very well. He quickly understands the requests and interests of clients and finds solutions in a timely manner. The client’s long-term satisfaction is always his main concern. As a proponent of “gentle renovating” Markus Damwerth aims to maintain the historical testimony of buildings and furnishings while combining them with new aesthetic standards – whether it’s a single piece of furniture or a complex construction project.